Locust refers to certain trees in the legume family. 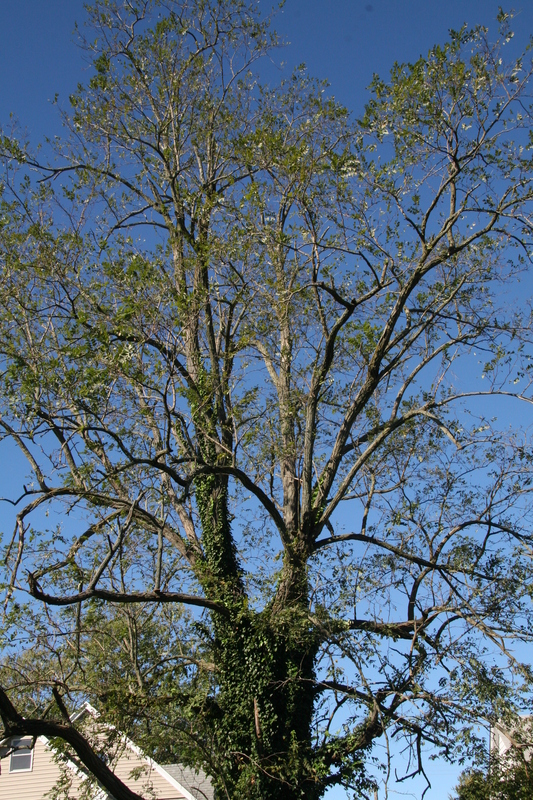 Black locust is native to the eastern United States and, though not naturally found in Delaware, is widely planted as a shade tree. 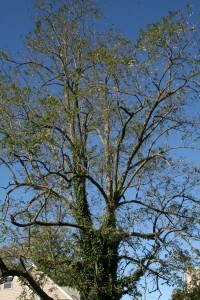 However, in some parts of the United States, the tree is considered invasive due to its aggressive growth and root system. Because it is hard and durable, locust wood is valued for fence posts, firewood, and furniture. Black locust leaves are pinnately compound with 7 to 21 small, round leaflets per leaf. Leaflets are typically 1.5 inches long.